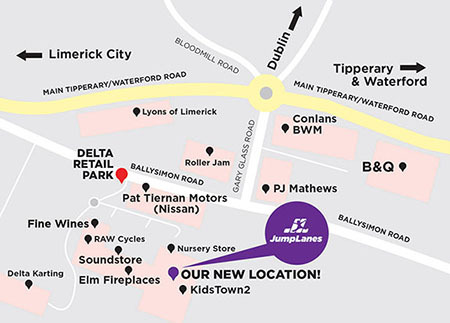 JumpLane's is Ireland's newest and best children's adventure park, comprising of lanes and lanes of indoor trampoline heaven! The center, now based in Unit 1 of Delta Retail Park, in association with KidsTown Ballysimon is perfect for a great day out, with it's indoor location and on site cafe. Be sure to visit us today to find out more.